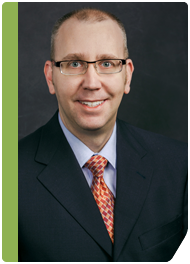 Poplar Healthcare » Christopher P. Golembeski, M.D. Dr. Golembeski joins GI Pathology with combined experience as Director of Hepatopathology at a multispecialty hospital-based practice, associate gastrointestinal pathologist in a large reference laboratory and as a previously board certified internist. After graduating from the University of Cincinnati College of Medicine, Dr. Golembeski completed two residencies and two fellowships at the University of Michigan, including internal medicine, anatomic pathology, surgical pathology and gastrointestinal/liver pathology. He was also a visiting gastrointestinal fellow at Oxford Radcliffe Hospital, United Kingdom. Dr. Golembeski co-authored “Approach to the Patient with Acute Liver Failure” in Yamada’s Atlas of Gastroenterology, 4th edition, and co-authored a variety of peer-reviewed papers. He is certified by the American Board of Pathology and holds memberships in the College of American Pathologists, American Society for Clinical Pathology and the Gastrointestinal Pathology Society.